Our Sweet Staff team wishes you a warm welcome to the ibis Lyon Gare la Part Dieu hotel! It will be our pleasure to advise you as you explore Lyon. Don't be afraid to ask about all the hidden corners of our gastronomic city. The ibis Lyon Gare la Part Dieu hotel is located 547 yards (500 m) from the TGV train station near the center of Lyon and 5 minutes from La Part Dieu shopping center and its 233 shops in the heart of the business district. We offer various dining options including a 24-hour bar and our Courtepaille restaurant, open from 11:30am to 11pm. The hotel boasts 144 air-conditioned and soundproofed rooms, a patio, free unlimited WIFI, a web corner, a private car park (charges apply) and a play area for children. 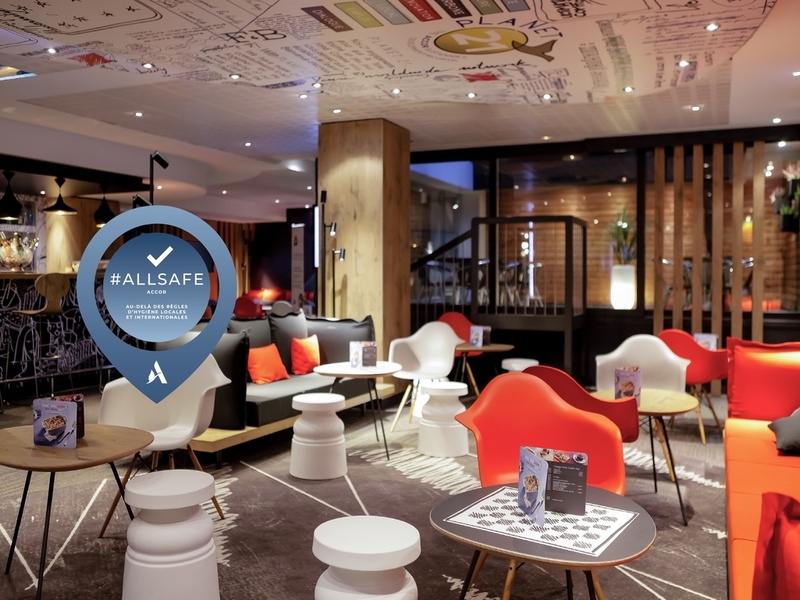 The 3-star ibis Lyon Gare la Part Dieu hotel is located in the heart of the Part Dieu business district for hard workers, 547 yards (500 m) from the TGV train station for travel lovers and a 5-minute walk from the shopping center for shopaholics! Dear guests, please note that our private covered car park is accessed via Boulevard Vivier Merle. In an inviting Zen setting, our 144 practical rooms are equipped with cozy duvets, comfortable pillows and a private bathroom to offer maximum comfort and a restful night's sleep. Famous for its grilled dishes, our Courtepaille Lyon Gare la Part Dieu restaurant boasts a seasonal menu all year round, with a selection of 15 grills and a pleasant terrace to enjoy in good weather! In an inviting Zen setting, enjoy a moment of relaxation at whatever time of day; people come to our lounge bar area and intimate patio to unwind.